Halloween is tomorrow and World Vegan Day is coming up, so naturally there are several Vegan Club events happening at UT Arlington this week. Check them out below and mark your calendars! 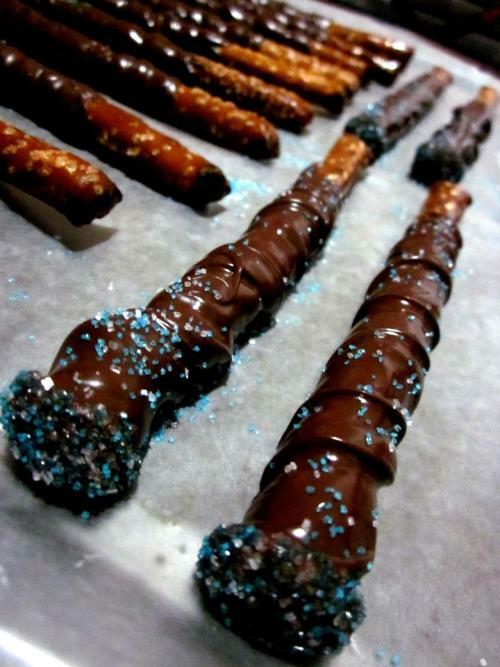 Chocolate-covered wands! Here’s the recipe! Halloween calls for tasty treats! Vegan Club is hosting a bake sale to raise funds for our upcoming Food Not Bombs speaker event. Treats will include chocolate-covered wands (attention, Harry Potter fans! ), pumpkin cupcakes, peanut butter cookies and more! All goodies are homemade with love by our members and of course, everything is totally vegan. November 1st is World Vegan Day (and November is World Vegan Month)! Once again, Vegan Club is teaming up with Animal Rights and Rescue of North TX (ARRNT) and Mercy for Animals to do some interactive vegan outreach at UTA! We have hosted several successful “Ask a Vegan” events before–they usually feature free vegan food samples (including my mini cupcakes) and Q&A. This year’s Ask a Vegan will also include a Pay Per View, in which participants are offered a dollar to watch a 4 minute video about factory farming. I will provide comforting hugs upon request. Additionally, we’ll be handing out local vegan business cards and free vegan starter kits, featuring tons of recipes and useful information. 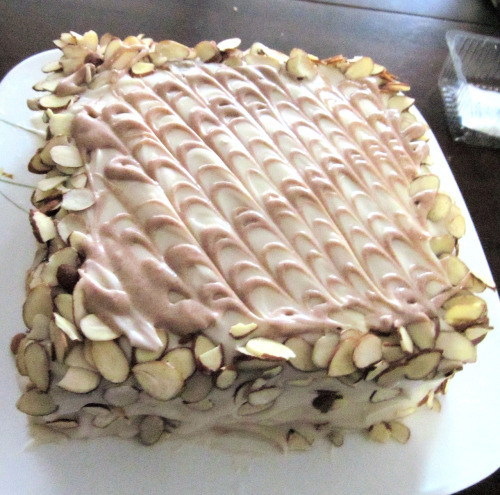 This pumpkin spice cake was from last year’s Thanksgiving potluck! The recipe can be found here. I plan on making it again, this time with better pictures! We’re having a belated potluck to celebrate World Vegan Day! We decided to host this on Friday instead because more people can make it that way. Our potlucks are the best, and we will be sharing recipes! I’m particularly excited about this event because we’ll get a chance to catch up with Vegan Club members we usually don’t get to see, since everyone is so busy. Please write what you are bringing on the event wall. If you have trouble deciding what to bring, just comment below and I will try to help you think of something! 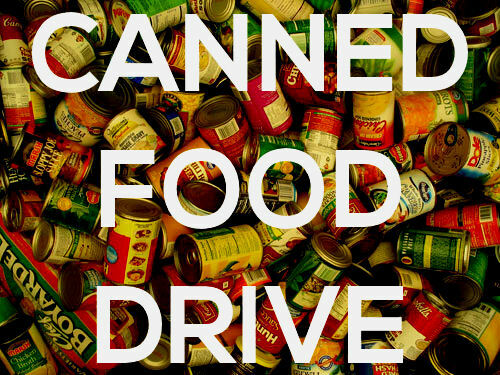 Please bring some canned veggies to the Central Library or the UC Starbuck’s! We’re collecting cans for Food Not Bombs, a wonderful activist organization that makes vegan food for the homeless and anyone who needs it. We have invited the founder, Keith McHenry to come speak at UT Arlington in November, so keep your eyes open for that. Check out the local Food Not Bombs group, and please bring some canned veggies for the cause! We have set up stations at the bulletin boards near the Starbuck’s in the UC and the Central Library (check near the elevators). We’ve been working on getting a station set up near Einstein Bagels in the Fine Arts Building–I will let you know when that goes through. What events sound interesting to you? Please let me know in the comments below! There are a couple of other great events I will be attending this week–please check out my events page for more details. Yesterday, the Vegan Club hosted a collaborative event with Animal Rights and Rescue of North Texas (ARRNT) and Mercy for Animals (MFA). In honor of World Farm Animals Day, the event featured Pay Per View video outreach, free vegan food samples, informational leafleting and Q&A. 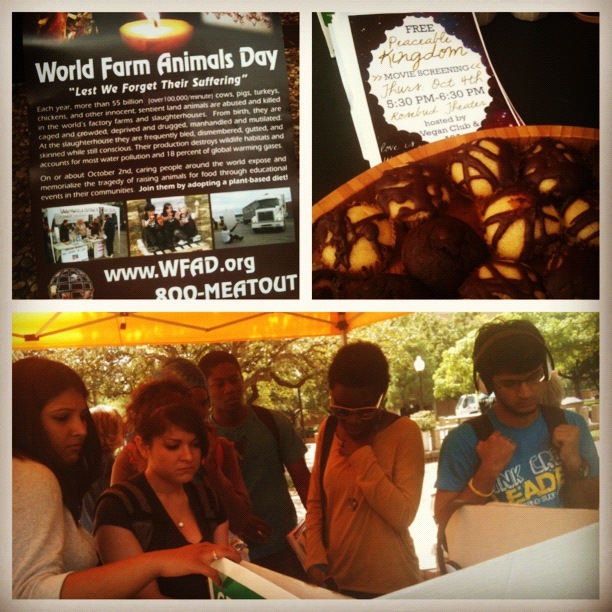 UT Arlington students sampled vegan goodies and watched a four minute video about factory farming at the World Farm Animals Day event. The event left volunteers absolutely exhausted (we reached an estimated 2000 students total), but the following things made the whole event worthwhile. Props to this guy (I didn’t catch his name) for helping us with the electricity! I appreciate him so much. At the beginning of the event, many complications arose–almost everything that could have gone wrong did go wrong (I’ll save you from a full-on rant and leave it at that). 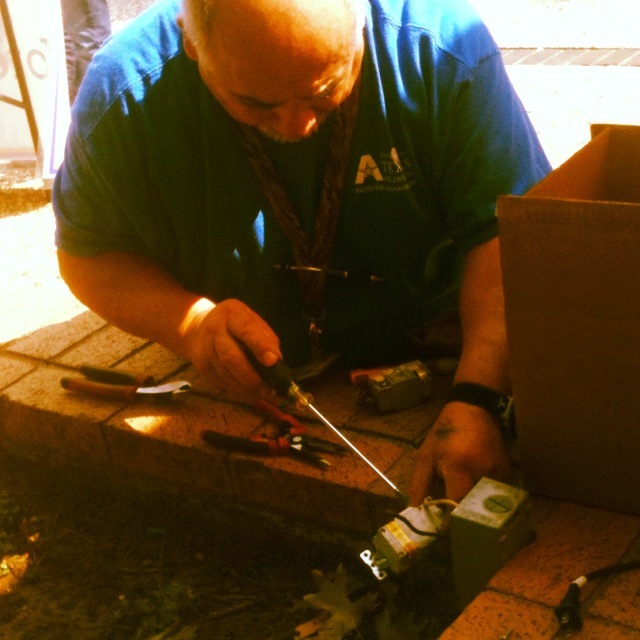 One of the problems we were having was getting the electrical outlets on site to work, but thankfully the Office of Facilities Management was very helpful in responding to my phone call–they sent someone over to do some re-wiring. They really made the video outreach part of the event possible, so I am extremely grateful to them. It’s always great to see people to go above and beyond their jobs to help people. Dollars for the video outreach! During our Pay Per View outreach, we paid participants a dollar to watch a four-minute video about factory farming, to raise awareness about where our food really comes from. The point of this activity is not to scare participants or traumatize them–the goal is to expose the industry and hopefully empower consumers to make different choices. While most participants were initially attracted by the dollar offer, several people decided to donate their dollars back to us for the cause. The event would never have been possible without the help of ARRNT and MFA. All of the Vegan Club members had class during the event (though a couple were able to help for a few minutes). Without volunteers from these groups, we could not have pulled off the event in the least. Barbara DeGrande of ARRNT provided food samples, vegan literature, a small tables, and a great canopy to protect our event from the sun. Nora Kramer, from Mercy for Animals, even went to the trouble of purchasing a table for the event, because there were complications with our table requests at UTA. Halfway through the event, we also got another small table from Millie Hunt Fain (ARRNT). While I was taking care of the Pay Per View, ARRNT volunteers handed out food samples, and Mercy for Animals leafleted. All these people worked their hardest to make the event come together so that we could reach as many people as possible. I cannot fully express my gratitude to them. Kids participating in our event! They were so curious and receptive. One of the things I love best about these events is seeing the participants’ reactions. Activists rarely receive negative responses from college campuses, because most students are open-minded. 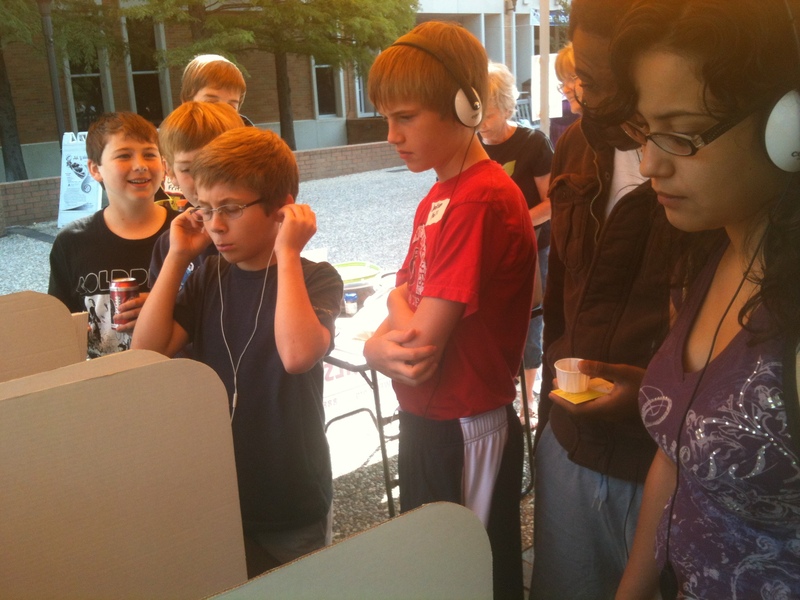 Notably, several students from a junior high field trip were very interested in the Pay Per View. I was initially hesitant…I wasn’t sure what the rules were about engaging young audiences in discussions about such heavy topics. However, the kids told me they were more than willing to learn and knew what they were getting into, so I had no qualms about letting them participate. Their responses were inspiring. Some kids had known about the issues, some didn’t, but most of them eagerly accepted the vegan starter kits and told me they were going to show their mothers the recipes in the back. All other participants I interacted with expressed their concern for the issues and wanted to find out more about the vegan lifestyle. Okay, let’s be honest–food is probably my favorite part of any event. We got countless compliments about the free food samples at our event. Participants sampled whole wheat chocolate chip muffins, vanilla cupcakes with chocolate ganache, and Field Roast vegan sausage samples (Mexican Chipotle and Smoked Apple Sage–available at Kroger and Whole Foods). Everyone asked for the recipes, and I will do my best to post them soon, so keep checking back! 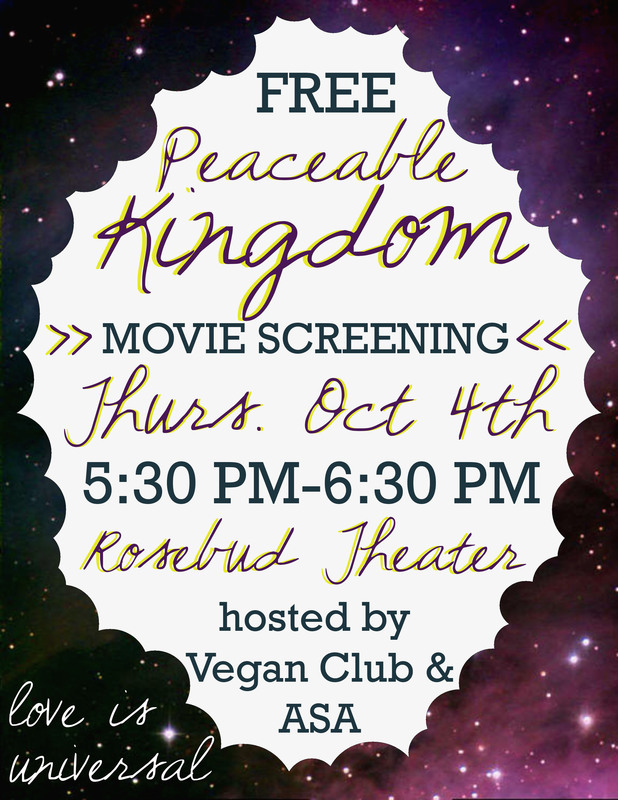 Vegan Club’s next event will be a film screening–please come out and say hi! I will also be making free cupcakes for this event.